HOUSTON, TX - Our industry is full of passionate, inspiring, and determined individuals who strive to achieve excellence and promote the betterment of fresh produce—consumption, cultivation, potential, and all. One of those motivating figures is Rich Dachman, Vice President of Produce for Sysco. With 2019 gaining ground and change in the air, the industry vet is passing the torch this summer and revealing his retirement as he looks to the road ahead. 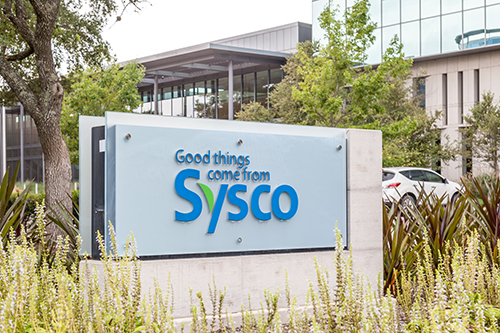 As Rich plans to wrap up his tenure at Sysco in June of this year, Julie Olivarria, current Senior Director of Sysco Produce, will be assuming the role of Vice President of Produce for Sysco. So, what is next for Rich? Since fresh produce is blood-deep, you can bet he isn’t traveling far. Rich has worked tirelessly to develop and evolve Sysco’s produce program into one of the industry leaders that it is today, and Brighter Bites is lucky to have that passion on its side if you ask me, in this next turn of the page for Rich. Rich has spent more than three decades in fresh produce and began his career at FreshPoint in 1992. Many will agree that Rich has been instrumental in the advancement and growth of fresh produce in foodservice. As the company shares, prior to Sysco’s acquisition of FreshPoint in 2000, Rich was the President of three operating companies and managed the central buying office in Salinas, California. Rich was appointed to the position of Senior Vice President, Western Region, with the acquisition of FreshPoint in 2000, and in 2007, Rich was promoted to Vice President, Produce, for Sysco. Congratulations, Rich, and thank you for all you have given to the industry so far, and we are excited for all that you will contribute on your new road ahead! Julie, we look forward to the strides you will make in your new role, and we will be here to tell your story along the way!